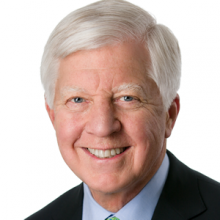 Bill George is a former chairman and chief executive officer of Medtronic. He is professor of management practice at Harvard Business School, where he has taught leadership courses since 2004. He is the author of four best-selling books on values-driven leadership, including True North: Discover Your Authentic Leadership. Earlier in his career, he was a senior executive with Honeywell and Litton Industries and served in the U.S. Department of Defense.